For the first time, kits for counterfeiting the most famous Italian cheeses, such as Parmigiano Reggiano, Pecorino Romano, Mozzarella, Ricotta have been put for sale. Coldiretti denounced it, in presence of some representatives of law enforcement agencies, magistracy, and government. These prodigious mixtures of pills and powders produced in Europe, USA, and Australia can be bought in Italy, too, by means of Internet. 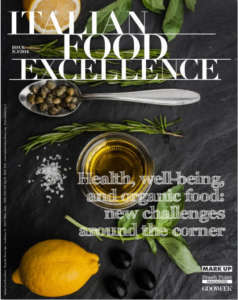 The packages, that promise to get a Mozzarella just in 30 minutes and other Italian cheeses in two months, contain bowls, strainers, gauzes, thermometers, little presses, as well as lipase and other powders, and promise to get well identified dairy products, that are a manifest counterfeit of our most famous cheeses. Coldiretti tells that it is especially serious that a British company is involved in this situation, because Great Britain is part of European Union and therefore should directly intervene in order to stop this outrageous ruin. On the contrary, this offer finds a wide room in the market of Internet, where special attention is paid to the craft of producing cheeses at home, with a bizarre explanation of the main differences among the different appellations. 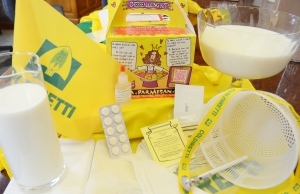 The kits for producing either Parmigiano or Romano put for sale by the English company cost nothing short of £ 102.38, corresponding to 120 €, while the kit for Mozzarella Cheese costs £ 25, corresponding to about 30 €. However, in the kits proposed for these two prestigious hard cheeses a little press for cheeses is included. With the ingredients at disposal, it is possible to treat about litres 8 of milk each time, and, altogether, litres 40 of milk. In the directions we can read: “Mozzarella is not the easiest cheese to produce and a little practice is necessary in order to improve the operation for extending the curds. If your first two attempts are disappointing, do not get discouraged. You will be repaid”. Coldiretti informs that the kit marketed in Australia for A$ 81, corresponding to about 57 €, allows to prepare either Parmigiano or Romano with little changes in blending ingredients. It is bizarre that no mentions to the origin of milk are made: it is not specified if it must be either ovine or bovine, but in any case it must be pasteurized and worked at °C 37. The directions for waxing are proposed with a wealth of details: it must be neither too light, nor too thick. In the last points of directions, it is written that the cheeses are ready after two months. 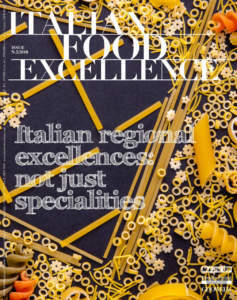 Coldiretti continues that in the USA a ’30 Minutes Mozzarella Ricotta Kit’ is proposed for USD 24.95 (about 18 €). With litres 3.75 of milk, citric acid, rennet, water, salt, and some easy rules for obtaining the curd, a perfect false Mozzarella is got as well as a gentle false Ricotta. In addition, it is possible to buy a ‘Basic Cheese Making Kit’ for USD 29.95 (about 22 €), with which it is possible to prepare even eight cheeses, among which the Parmigiano and Ricotta. Coldiretti requires a prompt intervention by both national and EU authorities in order to avoid that the situation of wine kits that damage our best known wines will be repeated. This phenomenon reached an alarming scale both in the world and EU, where it is estimated that at least 20 million bottles of pseudo-wine every year are prepared with simple powders that promise to obtain in a few days such prestigious wines as Chianti, Valpolicella, Frascati, Primitivo, Gewurztraminer, Barolo, Lambrusco, Montepulciano. The announced freeze of sales in Great Britain before last summer, that followed the positive action of Interpol requested by national authorities, did not bring the hoped result, because the manufacturing companies merely changed names in a bizarre way. So, Barolo became Barollo, the name of Brunello di Montalcino is now Monticino, Valpolicella became Vinoncella, and the ‘new’ name of Chianti is Cantia, that sounds very similar to English pronunciation. Coldiretti explains that in this case, too, the fraud is global, with manufacturing companies that are situated in USA and Canada, but also in Sweden, where wine kits that states to obtain in 5 days only, at home, Lambrusco, Sangiovese, or Primitivo, have been even sold with the trademarks ‘Cantina’ and ‘Doc’s’. The so-called ‘Italian sounding’ damages the most representative products of alimentary Italian identity: ‘Parma salami’ of Mexico, the odd Sicilian ‘mortadela’ of Brazil, ‘salami calabrese’ produced in Canada, ‘provolone’ of Wisconsin. The appellations ‘Parmigiano Reggiano’ and ‘Grana Padano’ are the most imitated in the world, with Parmesan, spread in all the continents, from USA to Canada, from Australia to Japan, but there are also Parmesao in Brazil, Regianito in Argentina, Reggiano and Parmesao all over South America. In addition, there are Romano, Asiago, and Gorgonzola produced in the USA, where one can find also Californian Chianti and alarming imitations of Calabrian soppressata, Asiago, and San Marzano tomatoes passed off as Italian. In some cases, historic trademarks are counterfeited, as it happens for San Daniele mortadella and prosciutto produced in Canada. 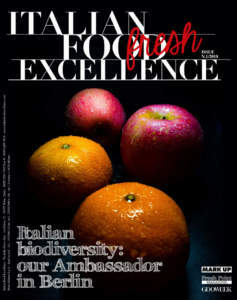 In all these instances of imitations and counterfeit of Italian agricultural and food products, there is the opportunity, for a foreign company, of obtaining on its reference market a competitive advantage by wrongfully associating with their products the image of Made in Italy, appreciated by foreign consumers, without any connection with Italian productive system and unfairly competing with Italian producers, who commit themselves for guaranteeing high quality standards.